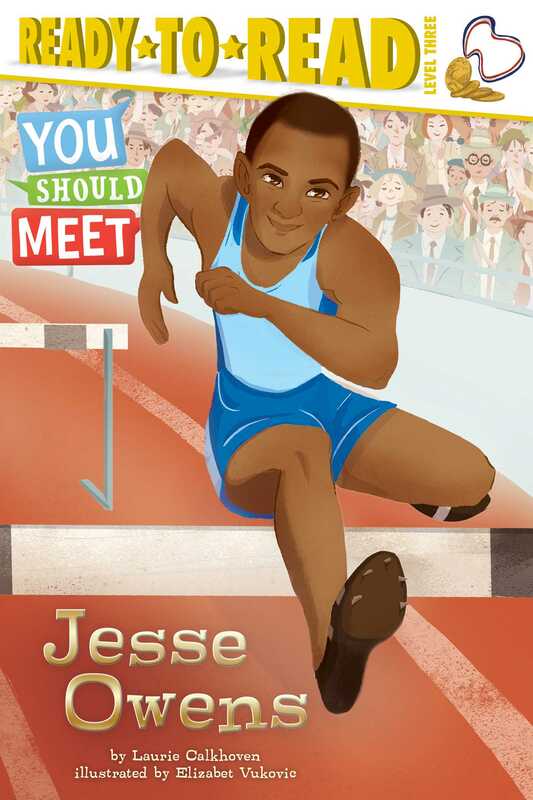 Meet Jesse Owens, an African American runner who won four gold medals at the 1936 Olympics in Berlin! What made his achievement even more memorable was that Adolph Hitler expected the Olympic Games to be a German showcase. In fact, he criticized the United States for even including black athletes on its Olympic roster. According to many reports, after Owens won his fourth gold medal, Hitler stormed out of the stadium. In 1936 Jesse Owens took a stand against racism and made history. A special section at the back of the book includes extras on subjects like history and math, plus a short article filled with interesting facts about the Olympics. With the You Should Meet series, learning about historical figures has never been so fascinating! Laurie Calkhoven is the author of many books, including George Washington: An American Life and Harriet Tubman: Leading the Way to Freedom. She lives in New York City. Visit her at LaurieCalkhoven.com. Elizabet Vukovic is a freelance illustrator born in Rotterdam, the Netherlands, where she still resides. As a kid she had quite an imagination, which she expressed mostly on paper, since acting out her ideas was an annoyance to her siblings. She now devotes herself fulltime to illustration for children and other venues. When not obsessing about art (which isn’t very often) Elizabet enjoys long bicycle rides, traveling, and bugging her elderly cats.